UPDATE, April 19, 2012: Inflation has made this post truly a dinosaur! It is now for historical reference only!! UPDATE, JAN 22, 2011: With inflation eating into the value of the Argentine Peso each passing month, this article might be a little far fetched at the present moment as opposed to when it was written a year ago. 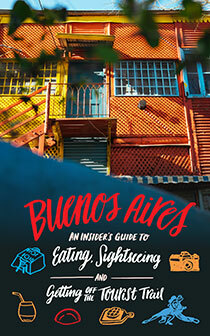 Never fear, the information contained here is still valuable for enjoying Buenos Aires Cheaply!! While Buenos Aires is not as cheap for Gringos as it used to be, hacking your budget can still be achieved with relative ease. Does this mean you are going to be living like a king? No, but if you are on a tight budget and want to see how long you can push it, you can still enjoy Buenos Aires. So lets talk about how you can live in Buenos Aires on only 5 dollars per day. – When we say $5 dollars a day, we are not including accommodation. We are talking only about daily expenses like food, transportation and entertainment. – At the time of this writing, $1 dollar = $3.85 Argentine Pesos. So for $5 dollars we are looking at a total of $19.27 pesos that we can spend each day, which we will round up to $20 Pesos for clarity purposes. Breakfast: If you are on a tight budget, you are going to have to make some sacrifices. For all you breakfast lovers out there, this means having a small breakfast. But hey, they don’t really eat a big breakfast in Buenos Aires anyway. We are going to have breakfast by eating 1 granola bar that costs $1.20 pesos. These can be found in any supermarket or kiosk. Lunch: Its time for lunch and we will be skipping the Parilla today. If we are going to spend only 5 dollars a day in Buenos Aires, lunch will be bought at one of the many kiosks scattered around the city. Our lunch today will be two Super Panchos (Footlong Hotdogs) that cost 2 pesos each. Hey, we never said this was going to be healthy, right? Make sure you ask them to put plenty of papas fritas (in this case, shoestring chips) on top of your pancho. They are free and will fill you up some more. But anyways, if two footlong hot dogs can’t fill you up, you must have a large stomach or you are fat. For a drink, you will be having tap water that you filled up in an empty bottle from you hotel, hostel or wherever you are staying. Yes, tap water is safe to drink in Buenos Aires. Water is also healthier. Other kiosk Lunch options: A Buenos Aires Kiosk is heaven if you are looking to fill yourself up cheaply. A giant ham and cheese sandwich can be bought for only 7 pesos (1.82 dollars) as well as very cheap empanadas. Dinner: For dinner, we have two options. We are either going to be eating some empanadas or a choripan (sausage on bread). Since your lunch of two super panchos might of already made you sick of processed wiener shaped meat, lets go with the empanadas. But just a FYI, a choripan is a great cheap lunch or dinner option, as you get can one for only 5 pesos (1.30 dollars) at most hole in the wall parrillas. Ok, lets get some empanadas. Depending on where you go, you can find empanadas anywhere from 1 pesos to 4 pesos each. While it is rare to find them for only 1 peso and we aren’t going to spend 4 pesos on them, let pay 2.50 pesos for them, which is an easy price to find. Again, we can head to a kiosk to get some empanadas, as they usually have them on the cheap. But it will be worth it to head to an actual empanada place, as they will taste better and you can still find them for 2.50 pesos. For most people, depending on the size, 3 empanadas will satisfy your hunger. Again, we will be drinking water. You can’t come to Buenos Aires and be so worried about your budget that you sit in your hostel all day. You have to get out and see the sights and this means you need some transportation. Buenos Aires has a great public transportation system consisting of Buses and the Subway. Each ride cost 1.20 pesos. If you are plan your city navigation smartly, you will only need to take 2 public transportation trips per day. Or if you really know what you are doing, skip it all together and uses your legs. Buenos Aires is a great walking city. Yes, you will be walking a lot, but the best way to see a city is on your own two feet. As for getting to nightlife options in the night, if you are savvy, you will be staying in a hostel/hotel in the Palermo Soho/Hollywood area, putting you in walking distance to all the nightlife you need. Hence, no taxis, buses or subways. Tourist Attractions: In order to enjoy Buenos Aires and see its tourist attractions, you really don’t need to spend any money. Tourist attractions like the Recoleta Cemetery are free and so is walking around the street fair in San Telmo on Sundays. The best things to see in Buenos Aires are not its museums or any other thing that requires you to pay. Its the simple joy of walking around, taking in the amazing architecture and feeling the pulse of the city. If you are on a budget, there is no need to spend 100 dollars on a Tango Show/Dinner. Head to Florida Street, La Boca or San Telmo and watch Tango for free on the street. Nightlife: If you are on a 5 dollar a day budget, you have to allow yourself to have fun. This doesn’t mean you have the funds to pound 12 beers at a bar or a nightclub. But who ever said you need to get drunk to enjoy a bar or a club? Like most bars, you can enter them in Buenos Aires for free. Most clubs as well in Buenos Aires can be entered for free if you show up early enough. It might mean waiting around drinkless for people to show up, but these are some sacrifices a man on a budget must make. Since we have only about 5 pesos left after out transportation and food expenses, it is probably going to be hard to buy an alcohol drink at a bar. This is where the fun comes in. If you are a girl, you can probably use your charm to get men to buy you drinks all night. If you are a guy, this might be a little tougher. Use this time to see the bar scene in a new way. Practice hitting on Argentine girls sober. Use the time to push yourself socially, practice your Spanish. Hey, why not even try to convince a girl you buy YOU a drink? The point is, if you approach the situation with the right mindset, you really don’t need to spend any money in a bar or a club to have a good time. We have around $5 pesos left after food, transportation and entertainment expenses. These can be used for whatever purpose. Food – Eat some extra empanadas or panchos if you are still hungry. Also in any supermarket or kiosk you can find many more cheap snack options. Drink – If you can´t handle just drinking water, buy a coke. You could also find some a bottle of wine that costs around $5 pesos or some vodka. Since cheap wine or vodka is never really any good, to satisfy an alcohol craving, a couple beers could do the trick. Whatever else you want!!! – Buy some stickers on the subway. So living on 5 dollars a day in Buenos Aires can be done. Lets do some very difficult grade school math and figure what that cost would be for a month and year. Obviously there would be other random daily expensives you would have to worry about like doing laundry, a phone, internet access, haircuts, etc. But this can make you imagine the possbilities. Would someone visiting really need to live in Buenos Aires on only 5 dollars a day? Maybe for some people yes, but the majority wouldn’t need to be that frugal. The point of this exercise is, if you really play your cards right, you can pass your time in Buenos Aires very affordability and comfortably. If you can do this in Buenos Aires on 5 dollars a day, imagine what you can do on 20 dollars a day. The next time you find yourself telling yourself you don´t have the money to travel, try to approach it from a different angle. Travelling doesn´t have to be expensive if you don´t want it to be. In fact, minus airfare, traveling to Buenos Aires could actually SAVE you money. Think of how much you spend everday if you live in a city like Chicago, Los Angeles or New York. Food, Rent, Phone bills, cable/internet, gas bills, electric bills, etc. 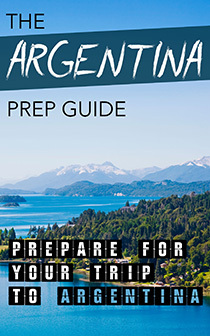 If you can find a cheap round trip flight (my friend found one from San Francisco for 600 dollars), you could potentially save money by living in Buenos Aires. Living in BA on $5 a day is a big stretch… yes it can be done, but i think the clogged arteries from panchos, choripan and empanadas will be the biggest downfall. A possibility that would take up the extra $5 pesos of leftover money in your equations would be to get a small bag of day-old bread (usually around 3 baguettes) that cost 2 pesos more or less the buying 1 avocado, 1 tomato and 1 small hard sausage from the supermarket, totaling around 8 pesos. The last three items can be used for multiple sandwiches. This can be a healthier option, and very easy to find and make. Where can i reliably use my USA Bank Card, at an ATM, in Buenos Aires, to withdraw FUNDS? You should be able to use it at most ATM’s. It should work at any of the big banks ATM’s. There is a charge of around 15 pesos, so I usually take out as much as I can to avoid frequent trips to the ATM. Does anyone know of a very cheap hostel anywhere in the Capital??? I am in Banfield and would like to stay downtown for a few nights for cheap. Also anyone that is here now wants to meet up for some english conversations and coffee let me know! You should check http://oony.com.ar and seach for the best discounts and coupons in Buenos Aires.! . Have a look at the site. By the way, excelent blog mate! Where on earth do u find a pancho for 2pesos? Hmm. Yeah, the days of going to Buenos Aires to save money are long gone. Go because where else can you see people dancing the tango on the street, go to see the Nueve De Julio in all its shining decadence, go to sip some of the best cafe chicos on the planet. But, expect to pay more for lodging, food, and airfare than cities like Madrid, Chicago, and Montreal. I would recommend letting the cap on your tap water bottle stay a bit loose as that will allow some air in to eliminate the large amount of chlorine in the water. And you can save money and still have a cultural experience by going to the deli of a Coto hypermarket where you can buy chorizo, merluza, and sometimes in the winter, locro pretty cheaply. You can do the same at Jumbo, but they are a bit more pricey. Kioscos tend to have food that is not so fresh. You can buy pizza by the slice (look for signs that say “Al Corte” at pizza places). Buy a slice of Faina with the pizza if you want to fill up more quickly for less money. For some tastey waterfront grub, try a bondiola at the Costanera. You can then walk to the riverfront at the ecological reserve to get a nice view of the river that is more like a sea at that point. For cheap,spicy food, you can go to a Chinese restaurant and get the traditional combo of fried rice or noodles, egg rolls, and a soda. Not very Argentine, but then again, the idea of spicy food as a whole is not very Argentine. While in the subte, look for free cultural events that might be ocurring. In the summer you can see outdoor concerts, movies, and many other activities for free. In November there is generally a Noche de Los Museos where the museums are free for one night. Keep in mind though that museums are some of the things that are actually pretty cheap in Argentina. So, you may want to pay a few pesos to avoid the huge mass of people that go to this free night. reading all that made my stomach growl for some reason. Para De la Fuente la cuestión es simple: la terapia de pareja puede prevenir una ruptura siempre y cuando ” no haya terceros en el medio”.